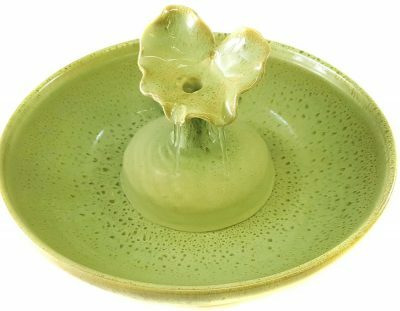 There is no better cat fountain than a ceramic, handmade cat fountain and no more attractive indoor fountain. 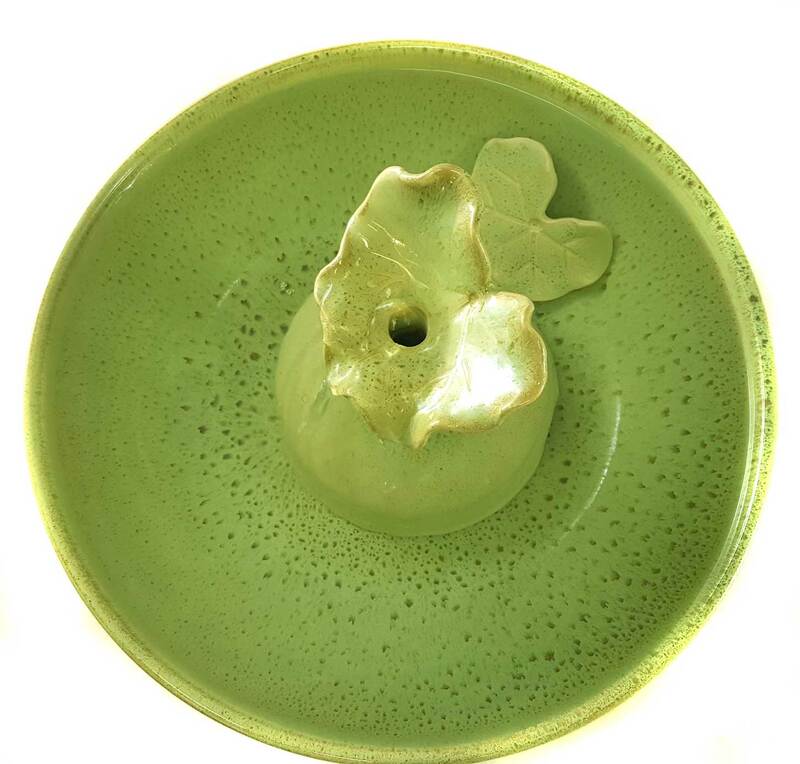 * 3.5 inches high and 11.25 inches in diameter. The glaze for this lovely cat water fountain is Tortoise Shell Green. Please click the images for a closer view. 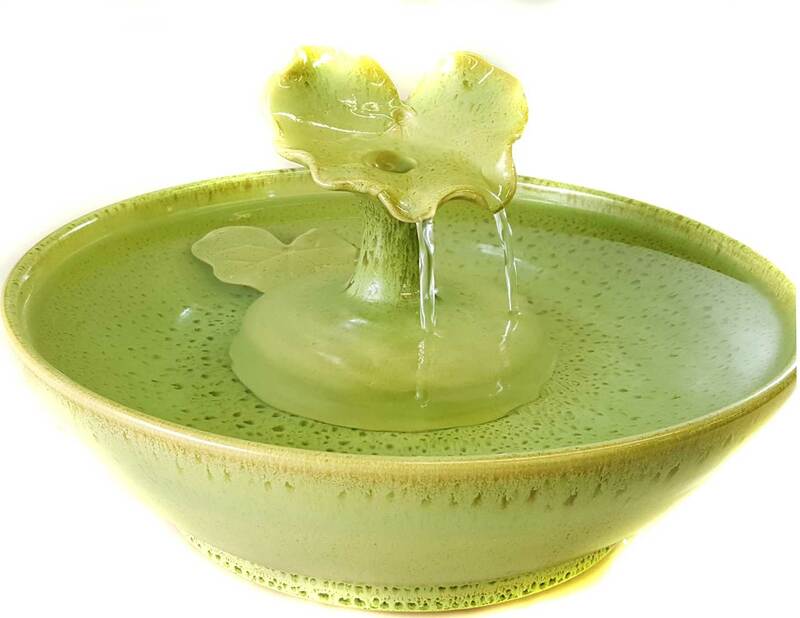 Water flows up onto the leaf and into the bowl in 2 streams with no splash. Your pets can drink from the leaf, the streams and from the bowl.